-Applicable for household small pipes of Ф50mm in lavatories,bathrooms,kitchens,different types are provided to choose. 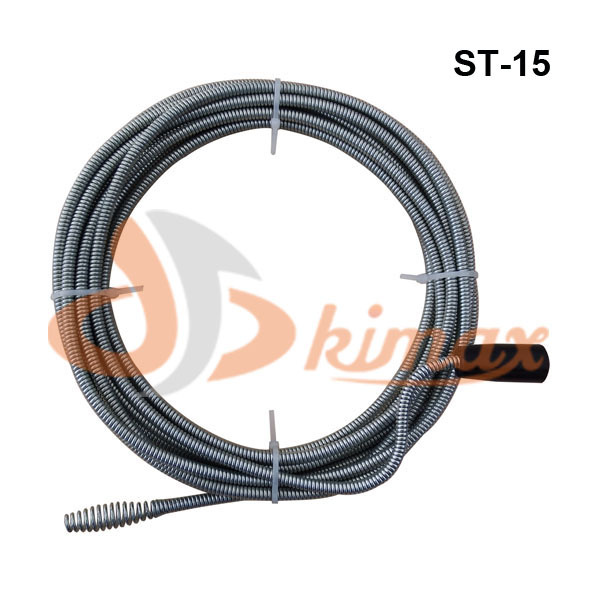 -Soft flexible shafts of Ф6mm are more suitable for removing pipe blockages in complex small diametr pipes like traps. -Simple in structure,easy-to-handle.Unlock the lock,and insert asoft shaft of certain length into the pipe,latch the lock and rotate the handle,press the handle,and repeated operation will easily remove the pipe blockages.